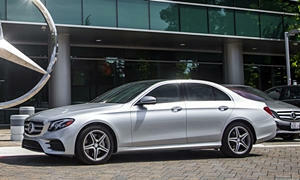 Been researching the Mercedes E350. Looking for Black on Black or Black on Gray. Want a car that is reliable and comfortable. Want exceptional fit and finish. I tired of GM junk and crappy workmanship. I bought them brand new. Would like the car to have all the accessories and safety features. If you want something reliable, you need to avoid Mercedes. They are exceptionally unreliable and expensive on maintenance. Even simple parts cost high dollars and require trips to specialized mechanics or the dealer. A simple strut can cost $1,000 and is computer programmed, so it is not possible to DIY as it needs to be calibrated by someone with a proprietary Mercedes programmer tool. 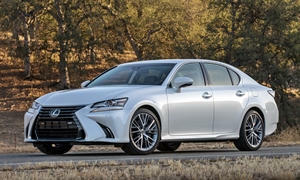 I'd recommend a late model Lexus IS, ES, or GS depending on your preferences. IS is the smallest and most sporty, the ES will have the softest ride at the cost of some of the performance of an IS, and the GS is the best of both worlds however you'll have to settle for more miles than you've listed (Usually around 35-45k miles). 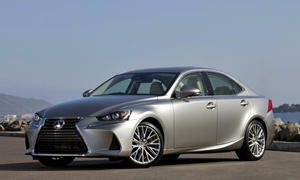 They rank very high on reliability, have great build quality (They're Toyota), and have an excellent ride. Their resale value is also very good and they hold their value well. I'd recommend a Lexus ES 350. I bought my (2007) new and have not had any problems. Ride is very comfortable and mileage is fairly good for a large car (21 city/30 highway). I agree with the poor reliability and high maintenance cost for the Mercedes. 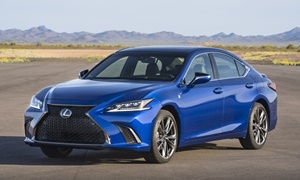 They are nice cars with advanced safety features, but (for me) the ride quality is not as comfortable as the Lexus, they cost a lot more to maintain, and they depreciate in value a lot quicker. 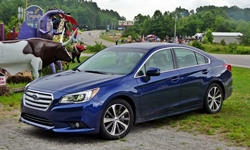 I'd also suggest checking our the Subaru Legacy. Excellent ride quality. Very good mileage and reliability. Holds it value very well. I owned a 2009 E350 sport and loved it. I too was concerned with the high maintenance costs and reliablility so I purchased a Certified pre-owned unit. I tend to buy and sell every 3-4 years so this was perfect for me. During the time I owned the car, I spent about $350 per year for maintenance. I did have a couple of things covered under warranty. (none of which would have cost me more than a few hundred $$ to fiix though, other than an engine which was an anomoly that only affected about 80 cars in 2009). Resale was an issue, but that is to be found on most luxury cars. I would not shy away from a MB, but I would only purchase another with the forsight that I would not keep it for 10 or 20 years and yes the oil changes are not cheap but once every 13k miles was only an annual occurance. 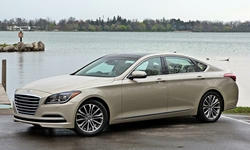 BTW, I just rented a 2015 Hyundai Genisis 3.8 and it was 90% of what my E350 was. A good alternative without the status attached. 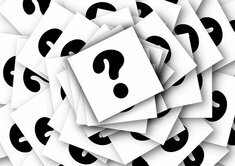 Thank you all for your responses. You have been a tremendous help. 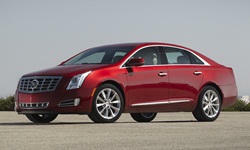 The Cadillac XTS Vsport has been a proven rocket. It is assembled in Canada if that matters. But having 410 horsepower in a big boat is quite a rush.